Durable Subsurface Drip Irrigation System. It was a project on which myself ( Yash Kudale ) and my friend (Sagar Gupta) worked on, with our guide Pravin Matte. It was a culmination of lots of effort from all of us and was only possible with the help of many talented people. G. H. Raisoni College, Pune – At last our college which provided us with some funds, under their R&D Cell Funds. It all started with our final year project guide who also was our vice principal of our college too, pushing us to participate in a competition. We oblige. We started with the idea of Mitsubishi Electric Cup 2 theme, to do innovation for good and greener tomorrow. While coming up with an idea for this competition, I remembered reading about an inexpensive moisture level sensor design, in an online article which came back to me for this project. We (me and my partner) got online and researched the state of moisture level sensors already available in the market in order to find out if there was a need for a new sensor or somehow we can work with existing technology and improve upon it. 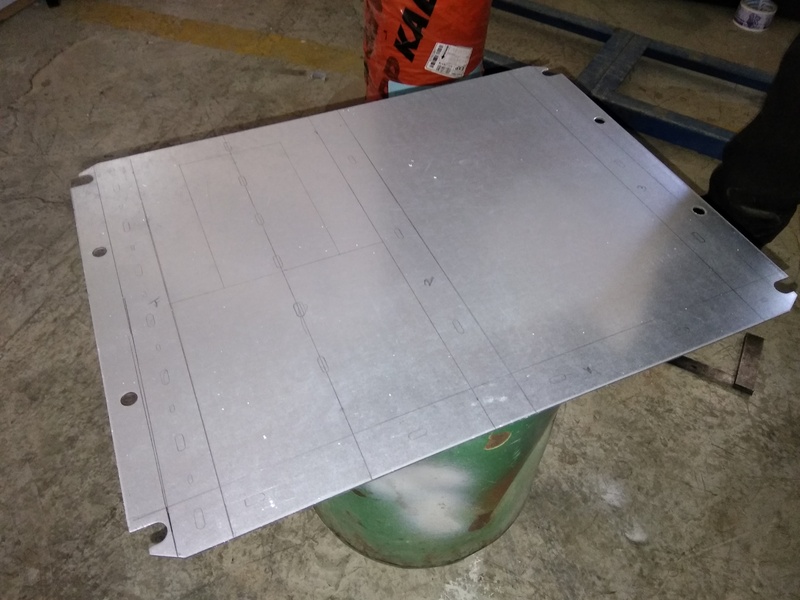 To our surprise, we found that there we many cheap and easy solution for soil moisture measurement but either they were not reliable or there were not well-integrated systems. 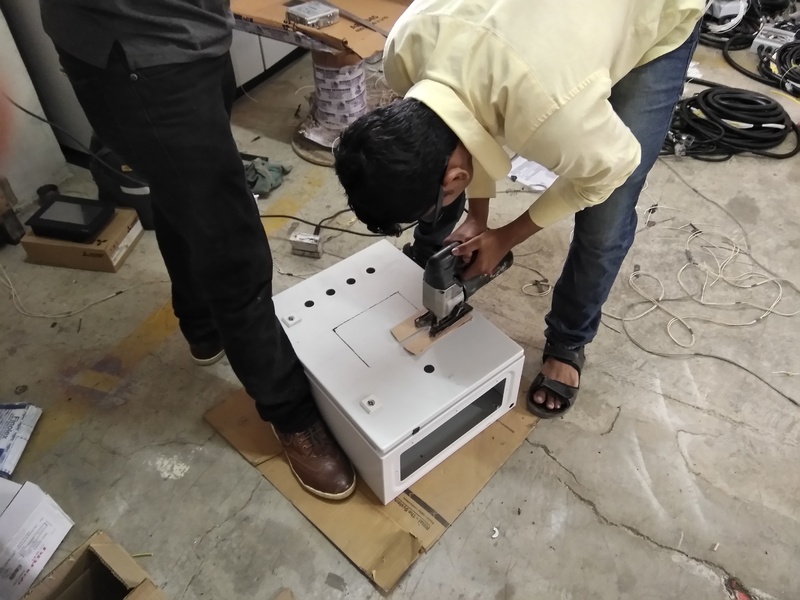 We took that as a challenge to make a project which will not sit in a corner of a class as an abandoned project from previous year but we set out to make a system with will be close to a practical design as possible we made sure that if we were to take the system in the field the system must work flawlessly. With our goals set and good idea about the project, we drafted a proposal for the competition and to our astonishment, we were selected as the top 35 teams in the ME Cup. We where were appreciated by our friends, teachers and our college for our achievement, this was the second time a Raisoni College team was selected for ME Cup. Than Mitsubishi asked us to mention what products were needed for our project from the list of product they provided, which were given to us within weeks of submission. 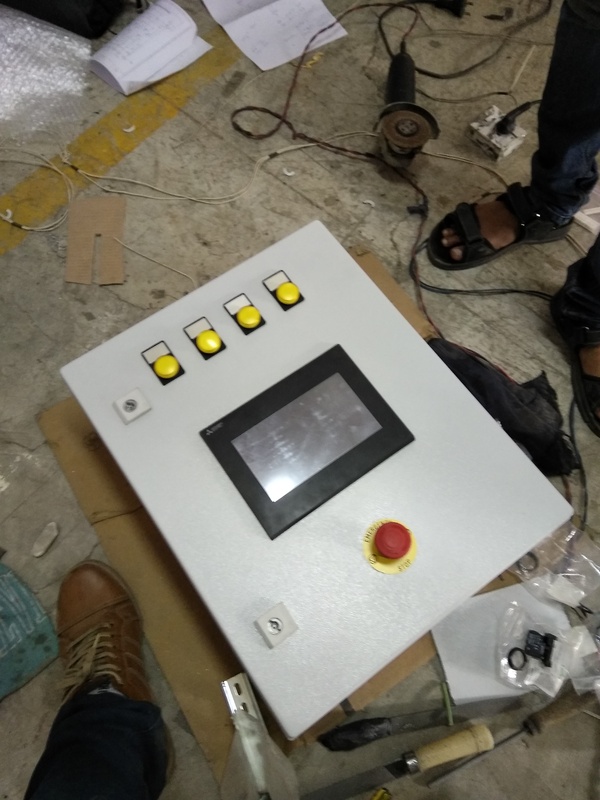 After that, we were given comprehensive training on PLC, HMI and other modules which we might encounter during our build. Photos below were taken during our training sessions. We had a great time with the training and the trainers were very helpful they knew what they were doing and presented information which was easy to understand even for us noobs. This is the most important thing we gained from the whole competition. We also met other participants and got to know what they were working on, they had many ingenious ideas. 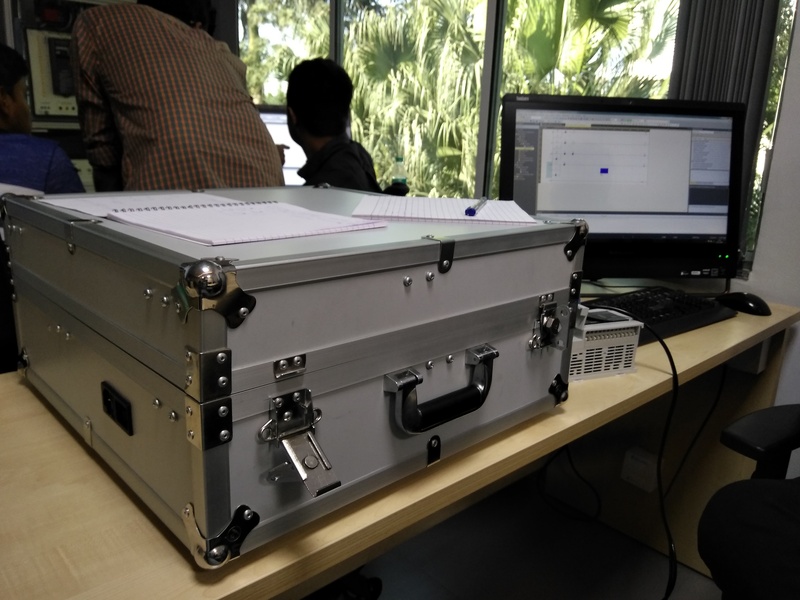 By the end of December 2016, we had completed our sensor design and basic working test on it. Also during that time we also had to produce a progress video which is linked here. These sensors were designed to be highly durable and inexpensive. We intended it to be placed near the roots of the tree or plant. We also made a CAD model to go with it. Parallelly we also were writing a research paper to be published in our college international journal SPCN. In this paper, which is linked here. 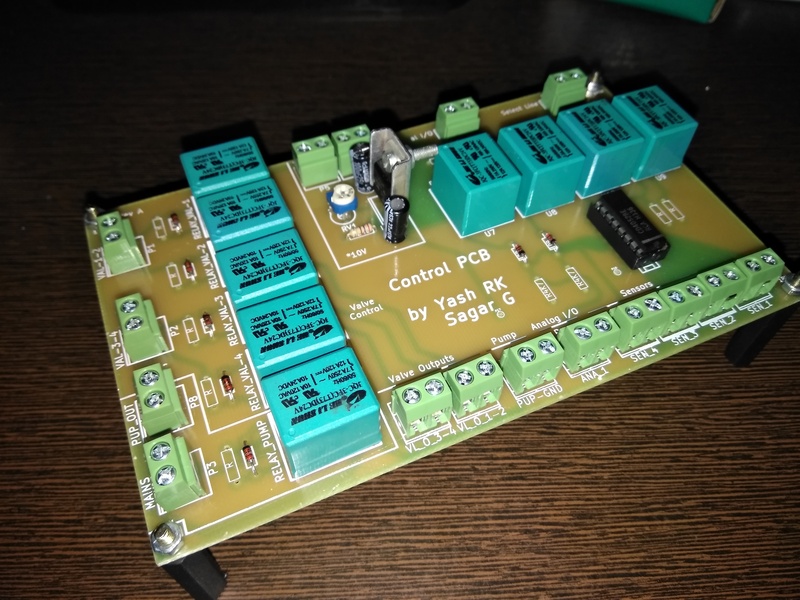 You will find the basic working principle behind the sensor, circuit design also with a simplified circuit diagram explaining the data acquisition of a single sensor. After that, we started working on the PLC itself, we encountered a problem that we needed 8 analogue pins to monitor 4 sensors. Which needed adding an ADC module, which would have been a bit out of our budget. We overcame that situation by using a multiplexer IC which took two analogue inputs A & B and gave us analogue pins A1, A2, A3, A4 & B1, B2, B3, B4. This was possible in our design as the moisture will not change suddenly hence we could get away by switching between multiple sensors. 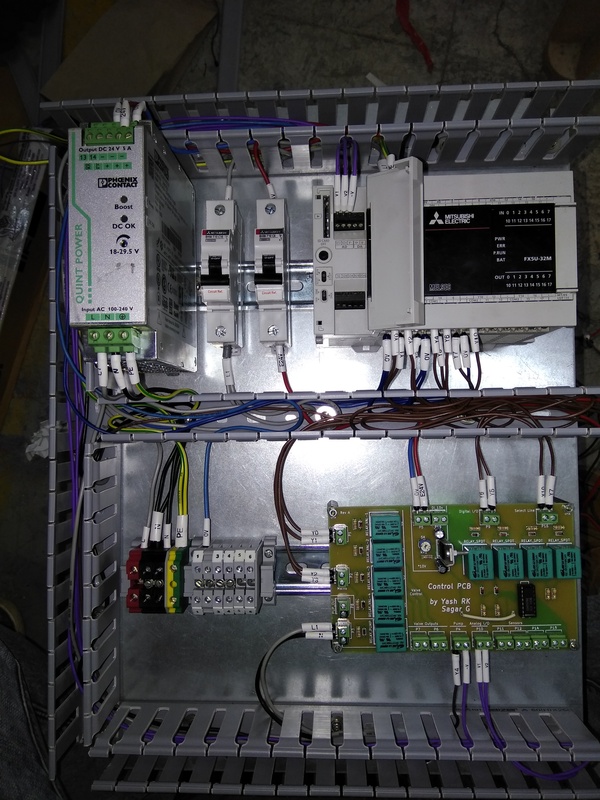 If you may have noticed we used many 24V relays to drive the IC pins, as the PLC operated on 24V and the IC and the sensor were intended to operate at lower voltages which we were able to fix by using a built-in variable regulator on the board. 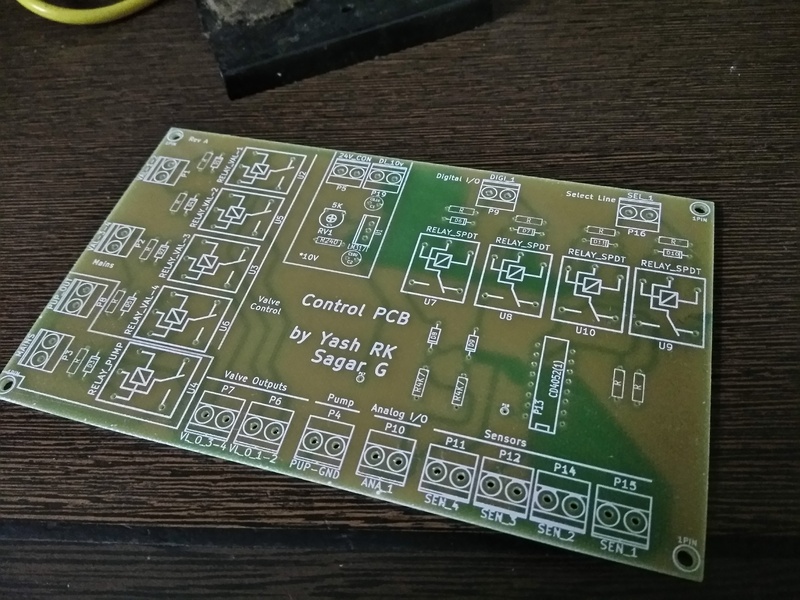 Below are the images of the designed PCB. All design files are available for download on my GitHub account link at the end of the blog. 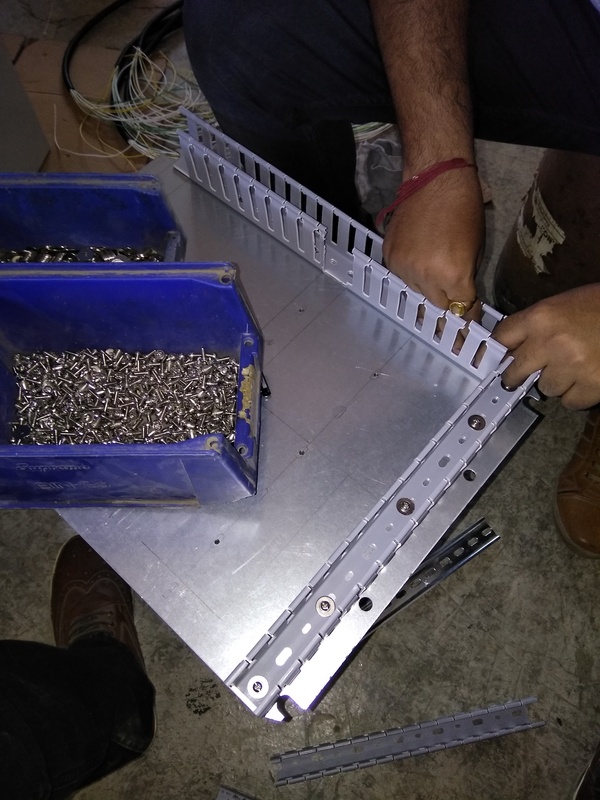 After all the wiring we did a soft run to check if the components on the panel are working right and we were getting right voltages at the right points. 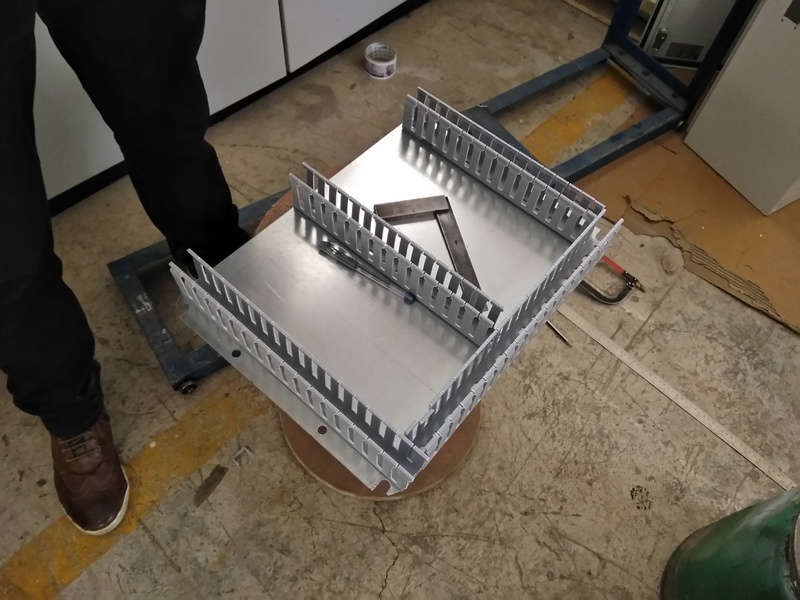 With PLC cabinet wiring going on during the week, weekends we used to work on the overall structure of the project which mainly included to make a structure to hold soil & water with sensors and valves to control water flow. 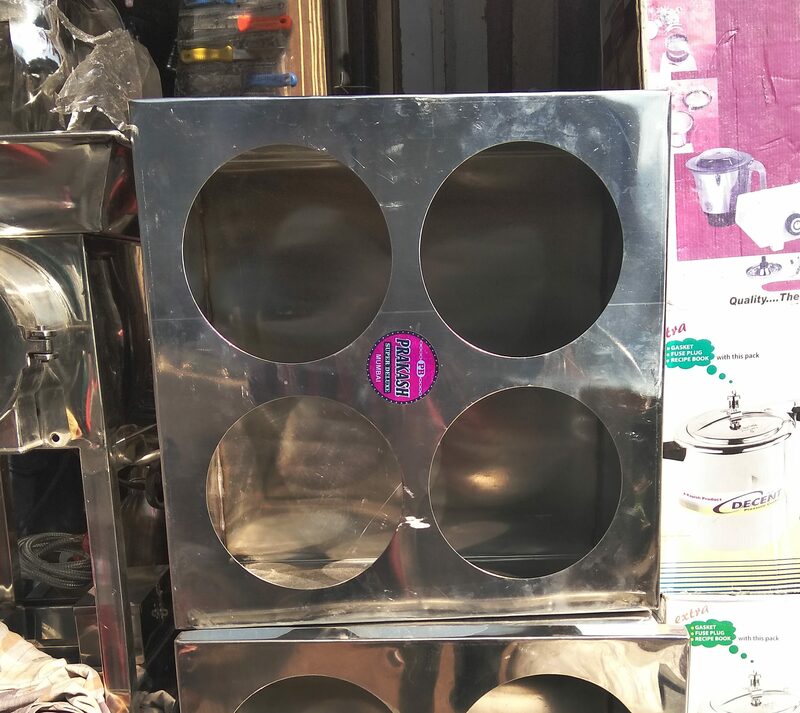 We first were going to design one from scratch but then we found a ready-made one intended for different use in Pune. Have a look. 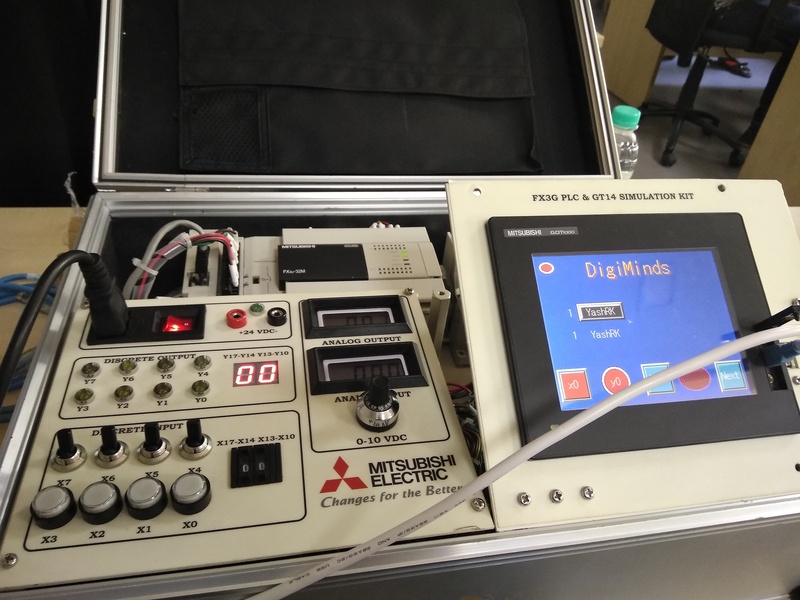 After all of this was near about to be completed we started parallelly working on the software here we faced many problems and the Mitsubishi provided mentors were of great help there. They corrected all of our silly mistakes with ease and set us back on track. We were lucky to be staying relatively close to the training centre so we could just get there and get help whenever needed. We completed our programming just in time for the final competition. This is it, for now, the description of the main competition and why you should participate in ME Cup? is coming up in my next blog post. See you then.